Child Support | Miami Divorce Lawyers Vilar Law, P.A. 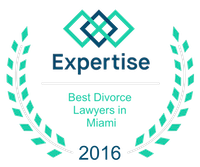 Contact Miami Beach Florida Family Law Attorney Vilar Law, P.A. Separated parents of minor children must address the issue of child support. The law obligates both parents to support their children to the best of their respective financial abilities. The basis for calculating the amount of child support each parent must contribute is the Florida Child Support Guidelines, which is a formula that takes into account, among other things, the number of children, the respective incomes of the parties, the cost of health insurance (provided it is reasonably available), the cost of day care or after school care, and the division of time sharing between the parties. Because the child support obligation is a right that belongs to the children, it cannot be waived or bargained away by either party. Calculating the amount of child support due from each parent involves many legal and factual issues, including what income is counted toward the child support obligation and what deductions from this income are recognized. If a parent is self-employed, voluntarily unemployed, or voluntarily underemployed, then the determination of the parent’s income can become very complicated. Navigating the technical complexities of this area is not recommended without the assistance of an experienced attorney.